Please note: If you are experiencing suicidal thoughts, please call the National Suicide Prevention Lifeline at 1-800-273-8255. Your life matters. Veterinarians are often not considered for mental health concerns; with presumably high salaries and a constant need for veterinarians, societal perceptions often lack appropriate knowledge for what this population of professionals truly need. 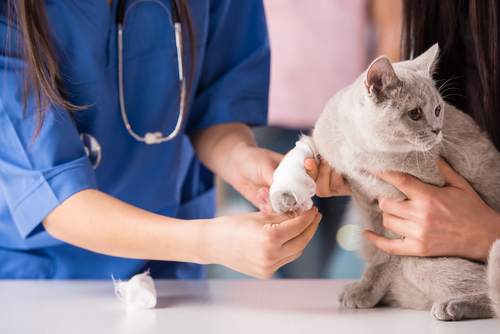 Veterinarians undergo a variety of cases each day, and many times, must experiences unfortunate and devastating events associated with animal euthanasia. As one can imagine, this type of trauma can have a long-lasting impact on a veterinarian, with recurrent exposure making this one difficult field to work in. In 2014, the Huffington Post reported a death by suicide of 48-year-old veterinary behaviorist Dr. Sophia Yin, highlighting the fact that she may have been experiencing a lot of distress in how animals are treated and many other concerns related to this issue. Depression is very real and can affect anyone – which is why it’s so incredibly important that you seek help if you’re recognizing signs. Suicidal thoughts may also occur alongside depression, and this can cause a person to withdraw from loved ones, talk more about death, give away personal possessions, and more. To prevent any tragic occurrences from suicidal thoughts, help is needed. Treatment for depression is available, and there are even services catered to professionals and their unique needs. Privacy and comfort are optimized in this type of treatment setting, as well as nutrition and holistic activities such as meditation, yoga, acupuncture and more to boost the mind, body, and spirit. Don’t wait any longer to seek the help you need. Your life and happiness matter. « Why is Relapse Prevention Important?